This would have been an unremarkable visit if not for the fact that for the first time since our work began in Bulgaria, no Swiss orthopaedic technician was present. Our principal Bulgarian technician, Angel, is now fully independent in the creation of leg orthoses and we were able to produce five devices. Dr Fragnière saw these perfectly made orthoses for himself. Clearly, this is extremely satisfying and shows that the huge efforts made over the last few years in training Angel, and his colleague Lucie, are paying off. We were also joined by a visitor, Dr Dontas, who accompanied Manuela and Dr Fragnière on their visit. Very enthusiastic and benefiting from excellent orthopaedic training, Dr Dontas participated in many of the consultations given by the foundation during this visit. Showing great interest, he also spent a day giving theoretical training to Bulgarian trainees. It is possible that Dr Dontas will become involved with the foundation’s work in some way in the future, as his interest seems very real. In total, just over 60 consultations were held and five devices made. 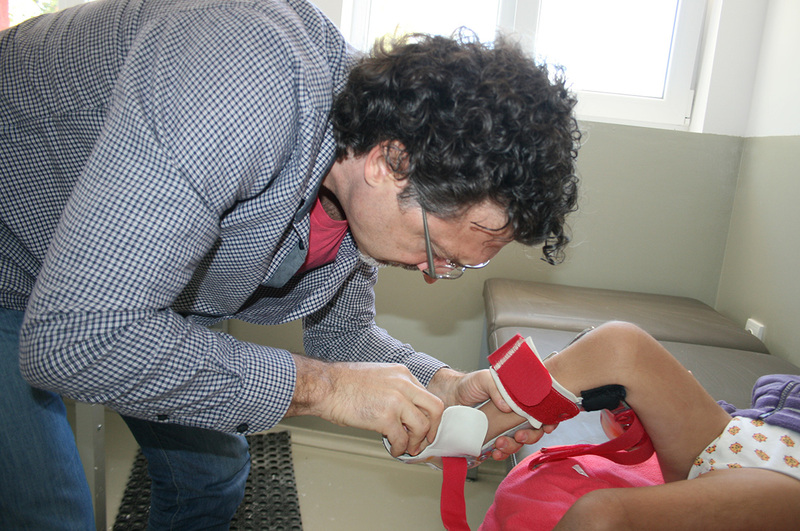 During this standard week, we examined 50 children and provided nine orthoses. Three new candidates for orthopaedic technician training spent the week with us, partly under the aegis of the Stara Zagora Community Donation Fund, the Bulgarian-Swiss project developed in collaboration with the Foundation. The three candidates are Lucie, one of Dr Gyurov’s employees, and two of the project candidates, Kamen and Netko. 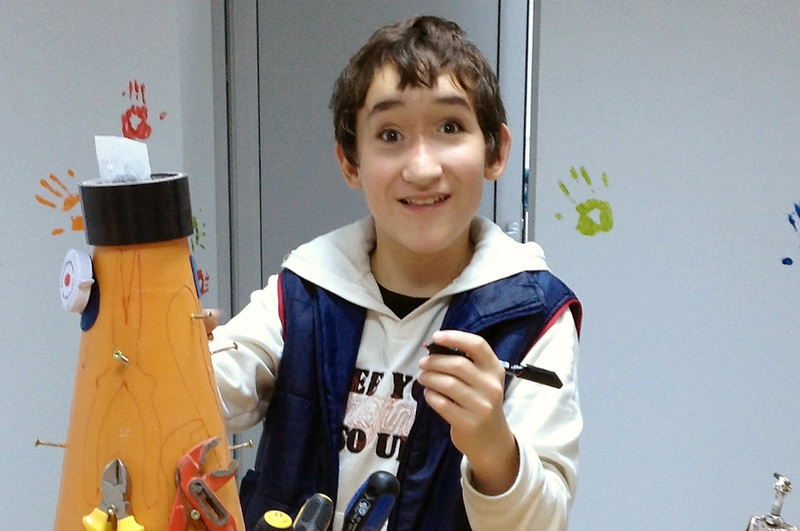 As the Foundation’s orthopaedic fitting activity was moderate, Kylian was able to put Angel’s impressive skills and autonomy in the production of orthoses to good use to provide the three candidates with theoretical and practical training. There were fewer consultations than usual during the week due to the absence of certain children, due to illness, and so we were able to look into a dozen new cases to see if we could help them. Several of these cases will be fitted with orthopaedic equipment produced either by the Foundation itself or by Dr Gyurov’s team. And finally we took the time to reflect on and discuss Dr Gyurov’s involvement and that of his company in the Swiss-Bulgarian collaboration project. We also discussed the idea of Dr Gyurov and his company using the Foundation’s workshop to develop an independent orthopaedic equipment activity. This would mean rental of the workshop to improve visibility and also meet the demand for orthopaedic equipment that has been growing steadily over the last few years and continues to do so. The next visit will take place from 8 to 14 June 2015. A visit to the company of our Swiss assistant Dimitri and loyal Bulgarian assistant Angel, accompanied this time by Kamen and Netko, two potential candidates for orthopaedic technician training (selected as part of our government-supported training project). As a reminder, this three-year training project for Bulgarian orthopaedic technicians was made possible by the unwavering commitment of Daniela, our principal correspondent in Stara Zagora – through her efforts, we received the sum of approximately 400,000 Leva (CHF 220,000). We made the most of our time with the staff to discuss in detail the forthcoming trips to Switzerland. The first will be organised in May 2015. The Bulgarian delegation for this trip will include Kamen and Netko, the orthopaedic doctor Dr Gyurov and our two correspondents in Stara Zagora, Daniela and her colleague Katia. Their week-long stay will include visits to various workshops to observe orthopaedic techniques and the manufacture of orthopaedic shoes. In medical terms, the week – though busy with consultations and prosthesis-fittings – was not unusual. However, we’d like to report on the departure of Geko and Slavi, two of the children that we have been treating and following since the beginning of our commitment in Bulgaria. 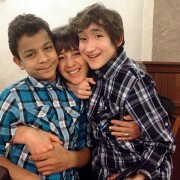 They have been adopted by an American family and left Bulgaria on 26 January. Geko had a congenital foot deformity, which Dr Fragnière operated on twice, as the foot was becoming difficult to fit into shoes. Over the course of six years of medical orthopaedic treatment, our team created a series of orthopaedic prostheses to complement the surgery. The child’s foot was in good shape on the day of his departure, and we are delighted with his level of social integration. The fact that Geko no longer has any visible medical problems has certainly facilitated his adoption. The same goes for Slavi, a hemiplegic boy who wore a lower leg orthosis to assist movement during six years of treatment. The foundation manufactured the orthosis for him, obviating the need for him to undergo the operation recommended by several Bulgarian doctors at the time. A final noteworthy event was our collaboration with Dr Evgeni Vlaev at the Tokuda hospital in Sofia. This partnership will enable us to begin surgical activity in due course. 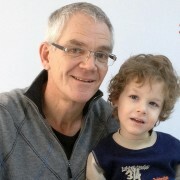 Dr Vlaev spent an afternoon in consultation with Dr Fragnière in Sofia on 22 January. During our next trip in March, we will jointly examine two children to plan surgical treatment, which will begin in the summer of 2015. Our next visit will take place from 17 to 22 March 2015. It has been exactly seven years since the Swissclinical Foundation started its work in Bulgaria and the entire team is still just as enthusiastic as ever. Assisted by Dimitri and Ketsia, everyone has done an excellent job this week. Many ortheses have been supplied and countless consultations have taken place, including many new cases. The feedback from parents and children has been very positive. The foundation’s excellent reputation is also attracting more and more professionals from the medical and orthopaedic fields: we once again enjoyed a visit from Dr Stamen Stalev (see September 2014 newsletter), in addition to visits from Angel and another of Dr Gyurov’s employees, who was particularly interested in orthopaedic equipment. We will benefit from his presence during our forthcoming stays and offer him the best training in cooperation with Dr Gyurov. We were also visited by Mr Erkki Wollstein and his friend Arthur, who came to us from Armenia. Mr Wollstein contacted the foundation after finding out about our work from our website. He would like to get involved in our engagement in Bulgaria together with Arthur, an orthopaedic technician who works in orthopaedics on a regular basis in Armenia. As both are motivated by a strong humanitarian commitment, we are planning for Arthur to come and stay in Stara Zagora for three or six months to support us with our activities (equipment, technician training) and initiate classes in various universities. With his assistance, we could even organise an information day on orthopaedic treatment techniques. We think that it is important to promote these orthotic and prosthetic techniques since they are often unknown to the medical profession and the public. Following a period of long reflection and many discussions, we hope to make this planned commitment a reality in 2015. The next visit will take place 20-25 January 2015. A visit packed with medical work. Ketsia and Kylian produced a dozen walking orthoses with Angel. Geko’s prosthesis also had to be redone because, somewhat surprisingly, the foot had broken. 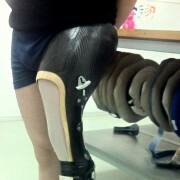 Kylian managed to remake this prosthesis in record time and we were able to deliver it before the end of our stay. 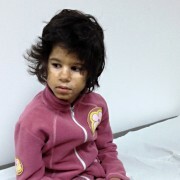 More than 60 children were also examined, five of whom require treatment, which we will begin in November. We were thrilled to receive a visit from an orthopaedic surgeon with an interest in neuro-orthopaedics. Dr Stamen Stalev, who practices at the municipal hospital in Stara Zagora, spent much of the consultation days on Friday and Saturday familiarising himself with this sub-specialism of paediatric orthopaedics. As noted by Daniela, our colleague in Stara Zagora, Dr Stalev seems to have a genuine interest in this field. We are looking forward to meeting him again during our next visit in November. Dr Evgeni Vlaev, who accompanied us when we last visited, was not able to visit us this time. However, he will be present at our consultations in Sofia in November. It was our pleasure to be accompanied by Dr Natalia Papastergiou on our trip to Bulgaria, a young Greek doctor training in orthopaedics in Switzerland. Dr Papastergiou showed great interest in paediatric orthopaedics and we hope that we can eventually collaborate with her more regularly in our work in Bulgaria. Next visit: 11 – 16 November 2014. This week, Dimitri came to Bulgaria to represent the technical orthopaedic team. As usual, he was able to work with Angel, our Bulgarian candidate, who is continuing to perfect his autonomy and skill in making walking orthoses. Dimitri also found time to redo Geko’s orthoprosthesis, which had reached the end of its lifespan. It was a busy, active week with more than 60 children examined and/or treated; the waiting list continues to increase as unfortunately we are unable to fulfil all the requests from parents who want us to examine their children. 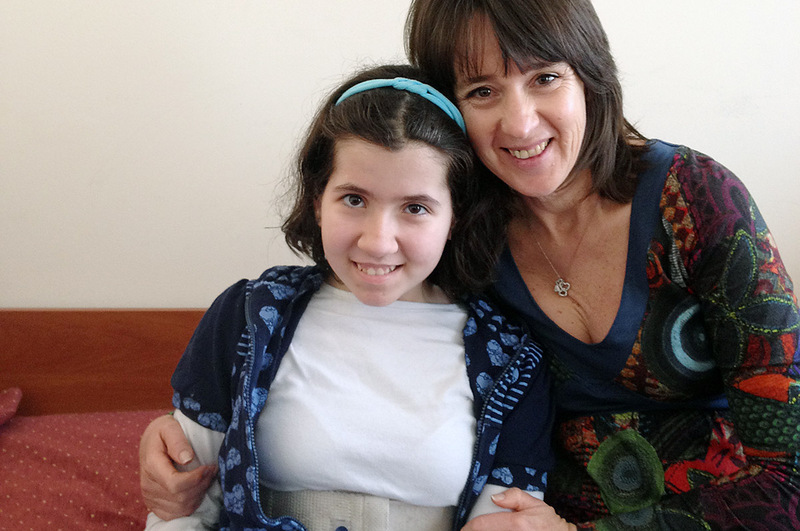 Manuela manages this list faultlessly in order to try to prioritise the children who would benefit from orthopaedic care as quickly as possible. Manuela and Bruno also met Dr Vassil Yablanski, head of the orthopaedic department at Tokuda Hospital Sofia, who gave them a very warm welcome. He was interested in hearing about our work in Bulgaria and is keen on a form of collaboration with us. The meeting was so exciting that we were immediately introduced to Dr Evgeni Vlaev, one of his colleagues in the orthopaedic department who has an interest in paediatric orthopaedics and neuro-orthopaedics. Dr Vlaev not only attended our meeting but also joined Bruno and Manuela the next day for the morning’s consultations in order to see the children. The interest that he showed in our work by his presence was very encouraging and bodes well for an effective collaboration in the long term. Tokuda Hospital has an excellent reputation in Sofia and benefits from the latest technical facilities in the areas of anaesthesiology, surgery and cardiology. Dr Yablanski has been able to develop his expertise in scoliosis surgery with the help of an American team from the SRS (Scoliosis Research Society) over a period of more than four years, yielding excellent results. 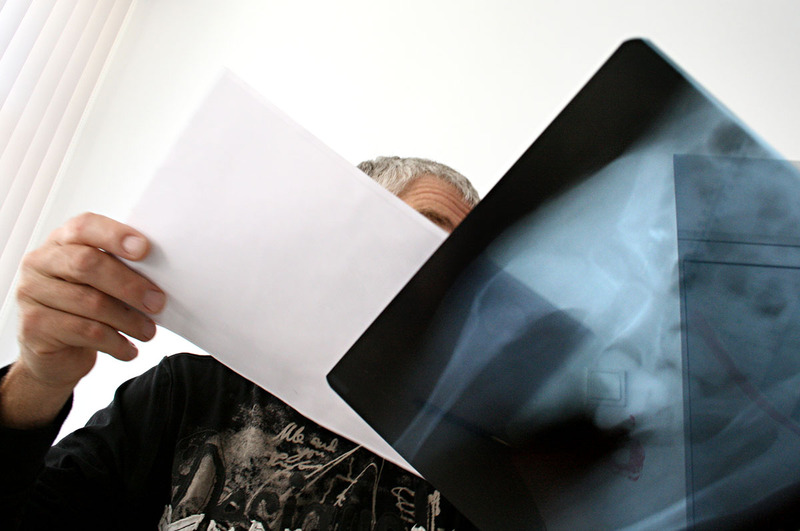 The possibility of collaboration with a team of doctors who specialise in paediatric orthopaedics in Bulgaria is certainly the key to the sustainability of our work in Bulgaria. We will therefore build on our relationship during our forthcoming stays in order to establish an indispensable, long-term collaboration. Other good news concerns the competition the Foundation won thanks to Daniela’s support (Daniela is our regular correspondent in Stara Zagora). We are now able to benefit from funding of 400,000 Lev (approx. CHF 240,000) over the next four years as part of a cooperation project with the Community Donation Fund Stara Zagora Foundation. The aim of this collaboration is to set up a Bulgarian-Swiss orthopaedic workshop in order to combat the economic and social disparities within the ‘enlarged’ European Union. A busy week of activities that have almost become routine: there were follow-up examinations for 56 children, as well a few new patients. Kylian, the only Swiss technician present this week, made eight orthoses with the help of Angel and Kamen, our two Bulgarian candidates. Kylian gave them both a day’s theoretical training. 1. The Foundation, represented by Dr Gyurov and Daniela, met the head of the physiotherapy programme at University of Stara Zagora’s faculty of medicine. The plan is to introduce basic courses in orthopaedic equipment from the 2014-2015 academic year. This also means that it should eventually be possible to include these courses in the medicine programme at the university. 2. Dr Yablanski, one of the senior orthopaedic surgeons at Sofia’s Tokuda Hospital, would also like to meet us to discuss the possibility of working together over the long term. Dr Yablanski is an excellent orthopaedic surgeon and is one of the few to perform effective scoliosis surgery in Bulgaria. The Tokuda Hospital in which he works is one of the largest in the Bulgarian capital and naturally the Foundation would be delighted to work with it to provide care in the Sofia region. 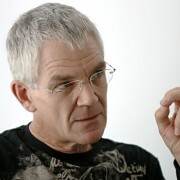 We will meet Dr Yablanski during our next visit in June 2014. 3. Over the next few months, we will organise a training visit to Lausanne and Geneva for Dr Gyurov so that he can improve his corset-making technique. Indeed, part of our humanitarian work in Bulgaria involves developing good skills in the manufacture of orthopaedic corsets. The Foundation team was truly complete this week as our three Swiss technicians (Ketsia, Dimitri and Kylian) were able to go to Bulgaria with Manuela and Bruno. Assisted on-site by Dr. Gyurov, Angel and Kamen – a new local candidate in orthopedic equipment training – we were able to carry out a considerable amount of work: the production of a number of orthoses, the replacement of Edice’s prosthesis six years after the start of care (see photo) and Kamen’s training in the techniques of orthotic manufacture. At the same time, the doctors examined 54 children (numerous check-ups and new cases). We are continuing our reflections and work in order to support the visibility of orthopedic equipment and its importance in children’s orthopedics. We are also trying to improve training in these orthotic and prosthetic techniques and treatment options as part of university medical studies in Bulgaria. To accomplish this, we are able to rely on the unconditional support of Dr. Gyurov and the Bulgarian ambassador in Switzerland, and on the special relationships established on-site by the Foundation. Our next visit will take place 18-23 March 2014. From 18th to 24th of november it was a new week of consultations and fittings in excellent working conditions. Angel, Dimitri and Ketsia produced 14 ortheses this week. 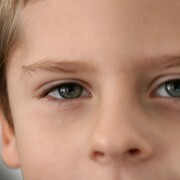 Approximately 50 children were examined, including many new cases. 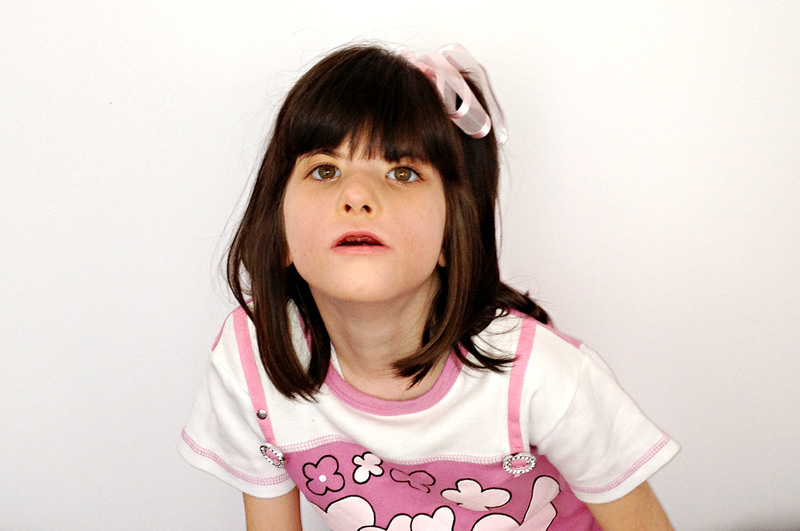 Although Angel, who has now worked with us for several years, is perfectly capable of producing ortheses alone, we have to continue to develop other candidates in this area in light of the foundation’s long-term commitment and possible recognition from the Bulgarian government of the costs of orthopaedic fittings. Although much of this training can be offered on-site, it is important for us in the long term to consider training courses abroad for future trainees, whether in Switzerland in specific orthopaedic workshops or in other countries, such as Turkey, with orthopaedic technology centres. Once again, we return to Switzerland with a great deal of emotion precisely five years after the first ortheses were made in Stara Zagora, but this time with an extremely solid base as we have our own infrastructure, our independence and certainly more ambitious goals. We believe that these goals are perfectly matched with the foundation’s current capabilities. Our next visit will be at the end of January 2014.